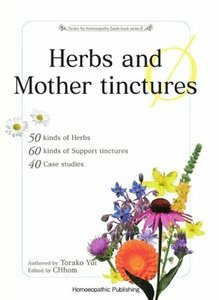 This book gives the entire picture of mother tinctures that are part of the Zen method which leads intractable diseases to be cured by Torako Yui Ph.D.Hom. Detailed data and explanation of 50 kinds of herbs with beautiful pictures. 40 kinds of case studies based on the Zen method and 60 kinds of support tinctures are contained. Repertory of herbs is also included. A definitive edition to utilize mother tinctures for improving health and treating chronic diseases!